For centuries the European courts were fascinated with the top quality wines from the Fruška Gora wine route, served even on the legendary “Titanic”. 1,700 years have passed since the Roman emperor Marcus Aurelius Probus planted the first grapevine on the slopes of this mountain. Fertile Pannonian land, centuries of experience in making wine and secret recipes have turned people of the this region into the most skillful winegrowers and winemakers! Now, you can use our app to explore, find and enjoy over 30 wine cellars on the Fruška Gora wine route. 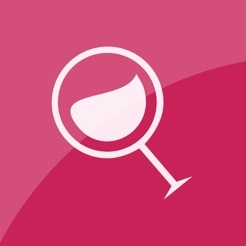 Learn about every cellar’s history, search through their wine cards, learn more about secrets behind these incredible wines. 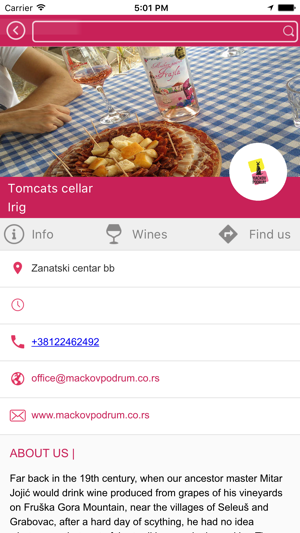 Just select your favorite cellar, tap find us button and your wine journey can start!